This is a contemporary Fairtrade 18ct white gold wedding ring available with matt or polished finish. 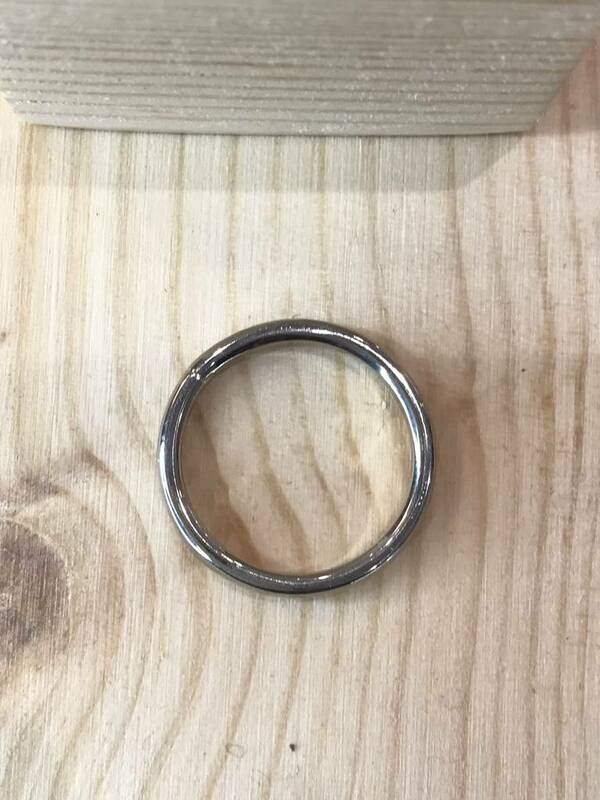 Made in our Corbridge workshop and made to any size this 18ct white gold ring has been made using Fairtrade gold. An ethically produced gold formed in the UK and bearing UK hallmarks. The band has a curved outer profile, with a flatter inside profile. It is a substantial ring, perfect as a Wedding ring or for everyday wear. The white gold has been left in it's natural state and has not been plated, it is a lovely dark metal which looks equally good polished or matt. 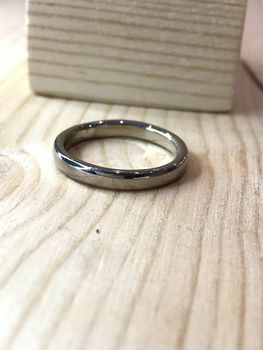 Made in 18ct white gold and hallmarked, this ring is available to order in any size and in other metals upon request. Choose from polished or matt finish. 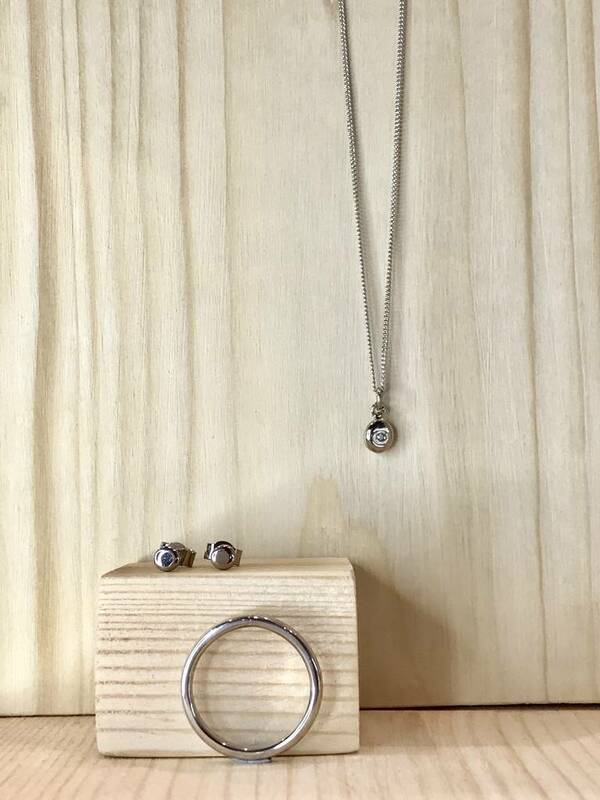 Your jewellery will arrive in a gift box. We will happily gift wrap your jewellery and attached a gift message upon request. Please be aware it is important that the correct ring size is provided as incorrect ring sizes that need altering will incur a fee. The ring is made from Fairtrade 18ct white gold with 18ct gold hallmark. The ring band measures approximately 3mm x 1.5mm.